Age of Anansi: In Africa, Dion Yeboah is drawn into a life-or-death battle of wits by a sinister spider. Age of Satan: In 1968, student Guy Lucas performs a black mass and finds you cannot trick the Devil. Age of Gaia: Energy billionaire Barnaby Pollard discovers that Mother Nature is not to be tampered with. 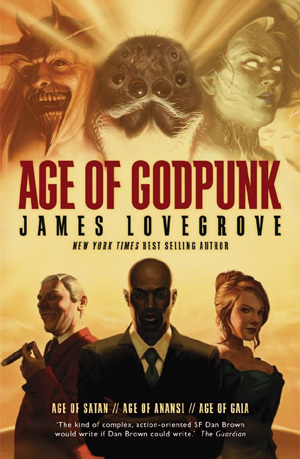 Welcome to the Age of Godpunk.